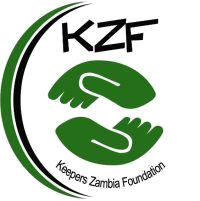 Keepers Zambia Foundation in partnership with Muhanya Solar Limited coordinated the launch of Zambia’s first ever privately owned 30kw solar mini grid. The solar power plant has a 30kw generation capacity and has so far provided clean and affordable electricity to 60 households, a school, a church and 2 small business entities in Sinda village of Eastern Province. As Technical Partner to the United States African Development- Power Africa Off grid Challenge, KZF had direct oversight of the project design, implementation, environmental, regulatory and risk management of all projects on the portfolio. The innovations have cheered a lot of beneficiaries who have as a result of access to power, engaged in various income generating activities such as cell-phone charging, selling of refrigerated food stuffs and ice blocks as well as salon and barbershops. Some of intermediate benefits of access to electricity has been longer trading hours for local businesses, increased pupils study time after dark, increased security, household savings arising from reduced expenditure on kerosene, firewood, battery charging; and improved health due to low incidence of respiratory and eye related illnesses from usage of dirty energy sources like firewood. After phase 1 of implementation for all three projects, KZF will undertake a situational analysis to ascertain the impact of a reduction in carbon emissions via number of reported cases for respiratory illnesses before and after project.